Tree peonies (Paeonia suffruticosa) are the first to bloom in early May. While herbaceous peonies are just budding at this time, these large flowers are already loosing their petals. Tree peonies or Rock's peonies are deciduous shrub, having spectacular large, often fragrant flowers growing up to 17cm across. The simple or double petals, surrounding bright yellow stamens come in shades of red, pink, yellow, and white and other striking colors. 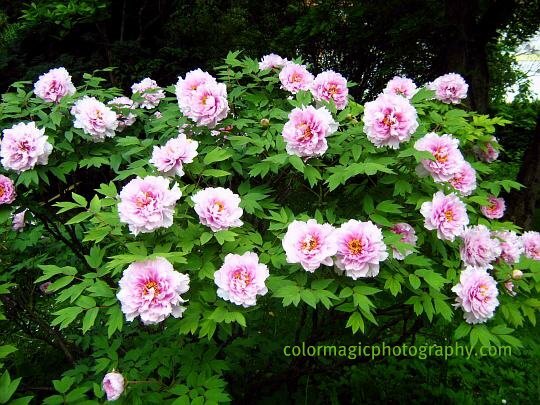 Tree peony is long lived and may reach a height and spread of 2-2.5 m (6-8 feet) and often may delight several generations with its beautiful flowers. Some species can live up to 100 years but they don't like to be moved, so choose wisely the place you want to plant them. 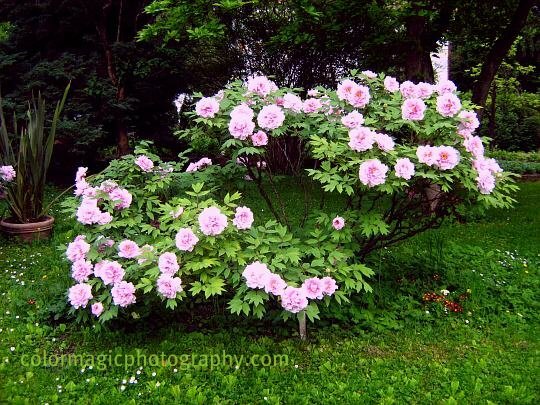 Like all peonies, tree peonies need full sun or partial shade and fertile, well drained soil. No special care is needed. In autumn, tree peonies lose their leaves but the woody stems stay throughout the year. Fall pruning is not necessary, they don't even like it, though old branches can be cut once in a while to maintain shape and size but not more often than in 3 years. 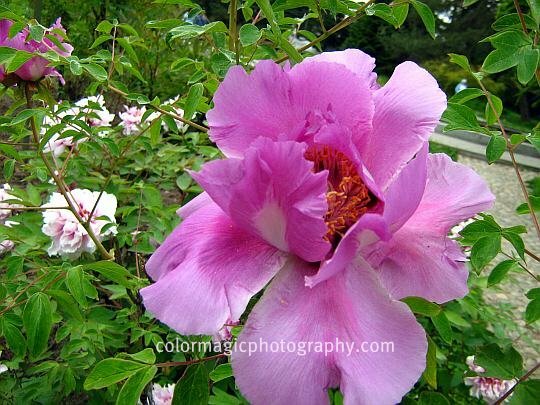 See the bright golden stamens of a beautiful, magenta peony flower in macro. What a beautiful peony. I've seen them in garden centers here, but I don't think they like our heat and humidity. This is a beautiful shrub Maia and I can't believe how long it can live! 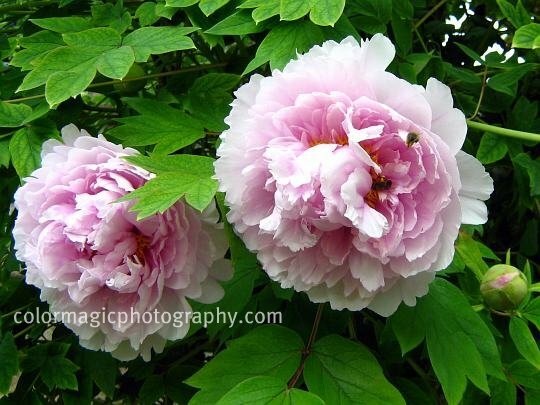 We do not have tree peonies here so it's a joy to see these photos.